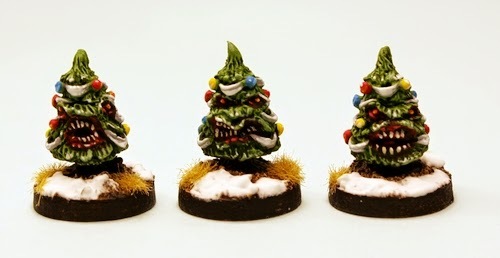 15mm.co.uk: Seasonal Festive Range returns in December 2015 with a new pack! Seasonal Festive Range returns in December 2015 with a new pack! Those of you who are long term customers of 15mm.co.uk will know what while our sister brands have their own ideas of Christmas and the season of goodwill (Cryptmass on Valon anyone?) 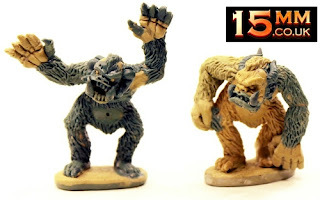 we have a treat for wargamers that is only online for a month or so each year. The Seasonal Festive Range (SN codes) will return at the start of December 2015 and remain until early January of the new year on our Deals and Offers page. We are adding another new pack and a value composite pack to what we already have. 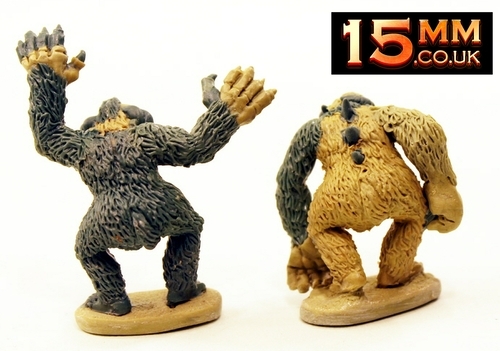 So joining SN01 Evil Snowmen and SN02 Killer Xmas Trees will be...SN03 Abominable Snow Monsters! This short article shows you pictures of Sam Croes sculpts for the two poses that will be in this new pack. From the front, from the back and from the sides. Why from the side? Because of something extra cool! Every pack comes with a sprue of two little Christmas Hats which you can place on the angry noggin of the Snow Monster or leave off. 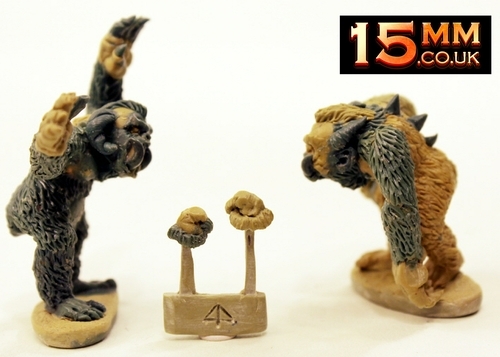 Full details upon release but there are two one piece poses in white metal with each standing about 40mm tall. Here are the codes you can expect online during December and early January only before the season ends and they vanish until the end of 2016. We like to keep the fun in wargaming and the joy during the darkest months of the year. If you have suggestions for next year's new pack to add to SN please do let me know.